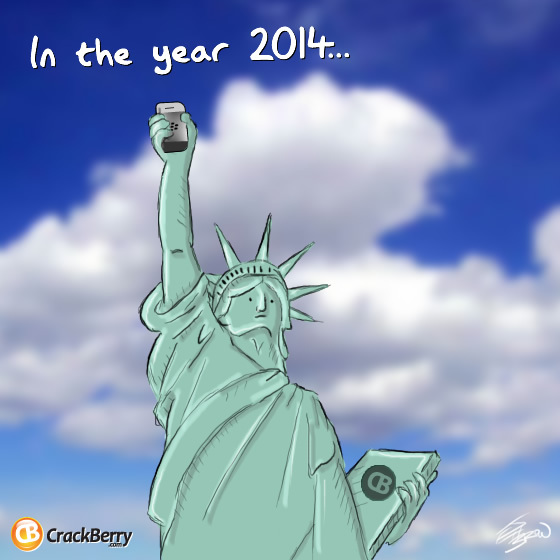 How Will We Know if BlackBerry is Successful? So here we are! The Playbook 2.0 launch has finally happened, and we've had some time to download it, play around, and think about the future of what's in store for CrackBerry Nation. You'd think this big software launch would release all the tension we've experienced waiting for it, right? Nope. I think it just builds more anticipation for BlackBerry 10 because we want these awesome capabilities on our phones now. Despite the big #Twosday (Twitter hashtag for the 2.0 update) now being over and done with, the reality is that RIM sells way more handsets than tablets. The whole tablet business could cease to exist tomorrow and it wouldn't really move the needle on the company's financial results. 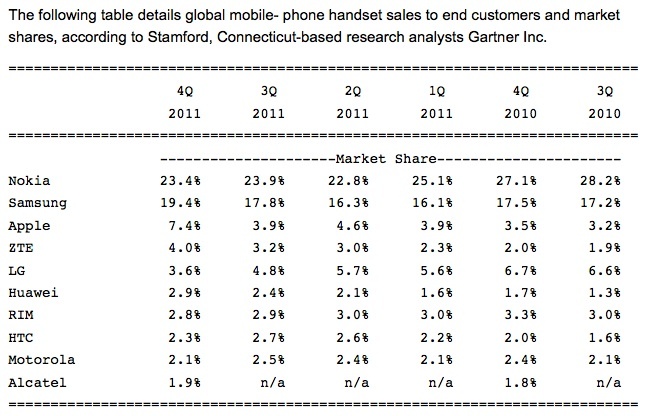 All this really means is that we need to see RIM continue as a success story in the mobile phone market. And this raises a big question: How will we know if RIM is successful or not? Kevin has been wanting to write an editorial on this topic for a long time now. But in addition to being the #1 BlackBerry Fanboy he's the Chief Media Officer of Mobile Nations, and often doesn't end up with enough time to write everything that comes to mind (and he's currently tackling PlayBook OS 2.0 and P'9981 reviews). So he asked me to take a crack at it. I mean, if we're going to have to read all these trashy pieces that treat RIM like a washed up company, maybe we should go back to basics and think about what constitutes success. As a starting point, it's pretty obvious that the media and investment community is down on RIM. According to almost any story you read, BlackBerry has been losing ground in the market. This argument is true, but the strength of the argument really depends on what you measure. Are we looking at the smart phone market, or are we looking at the overall mobile phone market? A couple of years ago (maybe more? ), when I was still working as an analyst on Bay Street, I would have conversations with clients about how we should stop talking about the growth of smartphones. Instead, we should talk about the death of dumb phones. I also remember listening to Kevin on one of the CrackBerry podcasts a while back. He made a very good point about smartphone customers; Many of them are just buying a smartphone because it's subsidized (by the carrier) down to almost nothing and the sales guy is recommending it. These are people who would have probably been happy with a feature phone if that's what was recommended. But there are fewer and fewer feature phones on the shelves in developed countries. Remember when the TV market moved from cathode ray tubes (CRT) to plasma and LCD flat panels? Initially they cost more. A lot more. But eventually you walked into Best Buy and there were no CRT screens to be found. Flat panel became the only option, and the prices were fantastic. Where are we in the mobile phone market today? In developed markets it's as if the Best Buy store still has some CRT models, but they're not prominently placed, and no sales guy would bother going near them. So we have to stop thinking of the market as a smartphone market. It's still a mobile phone market. And the customers are still the same. They can be carved up into the 4 segments that make up the technology adoption life cycle. You have the leaders, the early majority, the late majority, and finally the laggards. Notice that this report covers Q4 of 2011 all the way back to Q3 2010. That's six quarters of data during a period of massive growth for Android and iOS. It also marks a period of time over which RIM really didn't launch anything too super impressive. Yeah, BB7 devices hit the market, but we all know how that has gone. Not much marketing, and a source of financial disappointment so far. Now let's look at Android. Eric Schmidt told the world that Google was seeing 350,000 activations per day back at MWC in February 2011. Then Andy Rubin tweeted about Google reaching 550,000 per day in June, and then 700,000 per day in December. Safe to say that Android is on fire, right? But what does it say about volume growth for the makers of all these Android phones? Let's look at the Gartner numbers. The prominent Android supporters on that list include Samsung, ZTE, LG, Huawei, HTC and Motorola (Alcatel data is incomplete, so therefore excluded). Adding up their collective market share in Q4 gives us 34.3%. How about six quarters earlier, when Android was obviously much smaller? A slightly lower 30.7% share. What this means: The top 6 Android supporters have collectively gained 360 basis points (3.6%) of market share in the global mobile phone market. That isn't a lot, but it's safe to say that the shift to Android probably caused this shift. What else has shifted? Well, Nokia took a beating. They lost 4.8% market share over the same time period. Nokia has lost almost 5% of global share during this same time period. Given the shift away from feature phones (including Symbian) and Nokia's lack of traction (so far) in smartphones, this comes as no surprise). And RIM? They've basically treaded water. They lost 0.2% share over six quarters. Not exactly an exciting move. The big point I want to drive home is this: Android is growing massively at the expense of legacy feature phones and older proprietary operating systems created by these same Android supporters (and Nokia's Symbian). As much as we all talk about the leading smartphone platforms, when you look at vendors it's still the same group of hardware manufacturers fighting over volume. Samsung is the biggest winner, while LG seems to be the biggest loser during this transition. Based purely on the number of developers supporting Android, it sure looks like Google's OS will ultimately "win" if you determine the winner based on how many units are shipped. But is it really changing the vendor landscape that much? No, it isn't. And if Android is #1 does that make RIM a loser? Let's ask this question another way. Is Apple a loser in the PC market because they only have 6% share? I don't think so. Mobile computing is the next big wave, and it has only just begun. Each vendor must adopt a platform. Even if Google's Android is the dominant platform, RIM, Microsoft and Apple all have plenty of room to make plenty of money if they execute well. RIM is sitting at 3% share and is one of the few leading mobile phone manufacturers who is a pure play on the smartphone transition. If they can successfully launch BlackBerry 10 this year and move fully into the mobile computing era, backed by QNX, there is no reason they shouldn't be able to drive above 5% global share. Just think about how much bleeding there could still be at Nokia, who's volume is almost entirely Symbian-based. So what do I think would mark a successful outcome for RIM? I think they've got a shot at being the #4 ranked mobile phone company in the world behind Nokia, Samsung and Apple (and not necessarily in that order). Another aspect to this story is carrier support. It doesn't take a genius to realize that carriers are taking some pain in this smartphone transition. Apple has convinced them all to subsidize the heck out of the iPhone, and the lifecycle of Android devices is insanely short. None of this is good for carriers. RIM, on the other hand, has been very carrier friendly since the beginning. I think they've been far too carrier friendly, and it's hurt them. But right now carriers need friends. And RIM's still there ready to hold hands. Man, am I ever looking forward to BlackBerry 10.